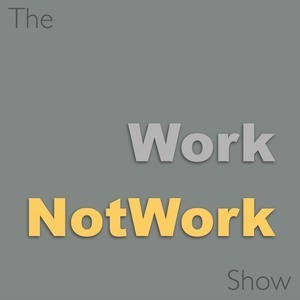 The WorkNotWork Show [0:03:01]: If the story of Phil & Sebastian were a movie what would be the big plot twist around which the entire story would rotate? Sebastian Sztabzyb: Well, I think there's probably a couple of things that—they’re not events, necessarily—that I can attribute our change in strategy or shift in mentality. I think it was a slow and steady learning. Our business was really founded on passion and enthusiasm alone. There was very little talk of money, profitability, margins. It was: let's do what we love to do and let's hope people can latch on to that, and appreciate it, and we'll figure out the financials after. It was really almost that ignorant. That's been, I think, part of the secret of our success. But at the same time it's been a recipe for overspending on R&D projects, on getting carried away with more learning than we can afford. If you look at the way companies are generally structured, they have a certain budget allocated towards R&D. For us it was anything we make, money-wise, we're just going to spend. Learning more about coffee…pushing the bar with what we can do with the equipment. So in early days, especially, we modified a lot of it. We added cooling mechanisms to the grinders to keep up with the heat generated during busy times. We added timers and flow control mechanisms to the espresso machines to help us with the extraction for espressos which is obviously the base for most of our drinks. Phil has written a great deal of software to control our roasters. So there's been a lot of R&D on our end that early on was, sort of, completely free to cost us as much as we could literally afford. We would create jobs for people that we wanted to keep. We thought, “OK, well this person adds a lot of value to the company and they’re a little bit tired of being a barista so let's make them head of quality control for our espresso.” Just espresso. We were a company of seven employees with, like, three or four or five directors of stuff, just to keep people engaged. So in our early days we were passion only. Business was this thing that we'd get together once a year to review our financials and say—“OK, did we lose or did we make?”—with no real forward thinking about what do we want this business to look like. Let's create some structure to the business and then let's let the rest of the things fall into the structure.